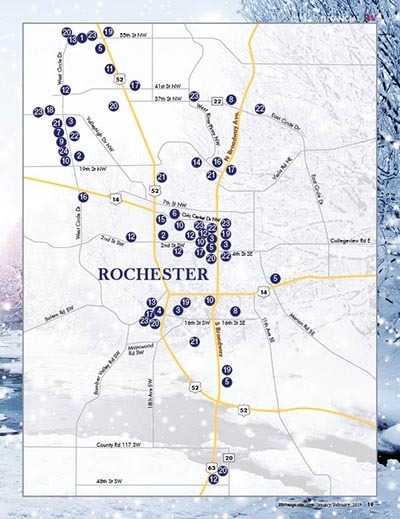 THERE HAS NEVER BEEN A BETTER TIME TO FIND A CONVENIENT BANK, CREDIT UNION OR LENDER IN ROCHESTER. Check out the map (on page 19) to find a convenient location near you*, or browse the bank or credit union websites to evaluate your options. National banks generally provide all the financial services you may need, plus they have many convenient branches and ATMs wherever you may travel. However, local banks and credit unions offer competitive rates and fees and tend to be more involved in the local community. This entry was posted in Community on January 2, 2019 by Scott Brue.